With the onset of the Cold War following World War II, both the Western Allies and the USSR sought out former Nazi scientists and operatives for programs such as Operation Paperclip. Cooperative former Nazis, such as Wernher von Braun and Reinhard Gehlen, were occasionally given state protection in return for valuable information or services. At the time, Gehlen had been chief of the German Bundesnachrichtendienst (federal intelligence agency), founder of the Gehlen Org, "a true life version of ODESSA" network, which helped exfiltrate Nazis from Europe. Other Nazis used ratlines to escape post-war Europe to places such as South America. In response, Nazi hunters sought out fugitives on their own or formed groups, such as the Simon Wiesenthal Center. Methods used by Nazi hunters include offering rewards for information, reviewing immigration and military records, and launching civil lawsuits. In later decades, Nazi hunters found greater cooperation with Western and South American governments and the state of Israel. By the end of the 20th century, pursuit of former Nazis declined, because most of the generation active in Nazi leadership had died. Klaus Barbie, the "Butcher of Lyon", was extradited from Bolivia to France in 1983, after earlier attempts by Serge and Beate Klarsfeld to track him. Until Bolivia's transition to democracy, he had been protected by the US and German intelligence services for anti-Soviet intelligence purposes, and employed by the Bolivian army under an alias. Sentenced to life imprisonment in 1987, he died in 1991. Herberts Cukurs, the "Butcher of Riga", was assassinated by Mossad agents in Montevideo, Uruguay, in 1965. Adolf Eichmann was pursued by Wiesenthal before being captured and smuggled from Argentina in 1960 by the Israeli spy agency, Mossad and was tried in Israel, after which he was executed. Boļeslavs Maikovskis, a Latvian Nazi collaborator, was pursued to Mineola, New York by Welles. Maikovskis eventually emigrated to West Germany in 1987, where he was found unfit to stand trial due to age. Josef Mengele, the "Angel of Death", was sought in various South American countries by Mossad, Wiesenthal, and the Klarsfelds. He evaded capture until his accidental death in Brazil in 1979; his remains were identified in 1985. Erich Priebke, an SS officer responsible for the mass murder of Italian civilians, was interviewed openly in Argentina in 1994, by ABC Primetime Live host Sam Donaldson. He was subsequently extradited to Italy and, in 1998, sentenced to house arrest for life. Eduard Roschmann was sought by Wiesenthal in Argentina. The Argentine government made plans for his extradition public in 1977, allowing him to escape to Paraguay. He apparently died the same year, but Wiesenthal was sceptical that the body was Roschmann's. Dinko Šakić was pursued to Argentina by Zuroff. Making no attempt to hide, he made several media appearances before being extradited to Croatia in 1998, where he was sentenced to 20 years and died in 2008. Josef Schwammberger was traced to Argentina by the Simon Wiesenthal Center and Welles. Extradited to West Germany in 1990, he was sentenced to life imprisonment in 1992 and died in 2004. Franz Stangl, the commandant of the Sobibór and Treblinka extermination camps, was caught by Wiesenthal in São Paulo, in 1967. He was extradited to Germany in 1970 and sentenced to life in prison, where he died the following year. Gustav Wagner, the "Wolf", was exposed by Wiesenthal in Brazil, in 1978. He was arrested, but Brazil refused to extradite him to West Germany. Wagner apparently committed suicide in São Paulo in 1980. 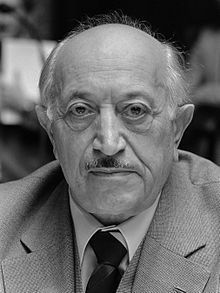 ^ "Simon Wiesenthal: Nazi hunter". BBC News. 28 December 1999. ^ Joel Levy (4 November 2004). Secret History: Hidden Forces That Shaped the Past. Summersdale Publishers Limited. pp. 37–41. ISBN 978-1-84839-640-1. ^ Parton, Nigel R. "Book Review: The Beast Reawakens." European History Quarterly 30, no. 2 (2000): 291–294. ^ Mendes, Alfred. "Bosnia, Bohemia & Bilderberg: The Cold War Internationale." In Common Sense: Journal of the Edinburgh Conference, vol. 16, pp. 5–15. 1994. ^ a b c Jason Cato (15 April 2007). "The Nazi hunt continues for ex-guards". Pittsburgh Tribune-Review. Archived from the original on 18 August 2008. Retrieved 8 May 2017. ^ Zuroff, Efraim (April 2013). "Simon Wiesenthal Center 2013 Annual Report on the Status of Nazi War Criminal" (PDF). Simon Wiesenthal Center.